An incredibly simple and powerful book test for the professional or casual performer. The performer riffles through the pages of the book. The participant at any time, says stop and looks at the first word on the page. The performer knows the word without asking a single question or having anything written down. 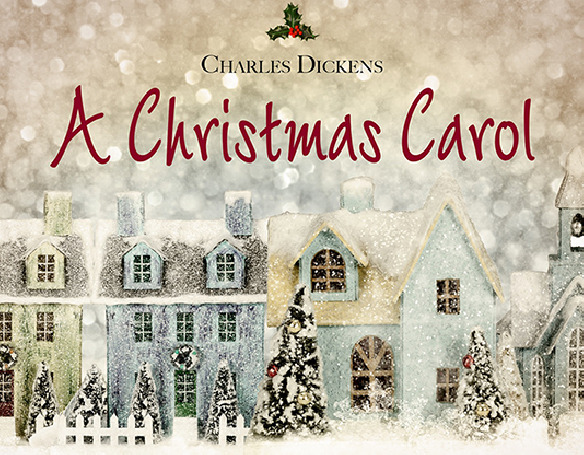 Christmas Carol Book Test gives you the freedom to perform a powerful mind reading miracle, anywhere at any time, without the need to memorize a single thing. You can also hand out the book before, after, or during the performance without worries of revealing the secret. The method is so cleverly disguised and practically undetectable, even under close examination. For over ten years, many of the world's most talented magicians and mentalists have included Christmas Carol Book Test in their paying shows and performances. The same method is also featured in Ted Karmilovich's, Mother of All Book Tests - Pocket Edition.